We caught up with the Director of Marketing for DTS, Anthony Wilkins, at the Home Cinema Choice Awards recently. DTS were sponsoring the event and were only too happy to speak about the company's plans for the future and being part of the Blu-ray revolution…. Anthony Wilkins: DTS started off in the cinema. Cinema sound wasn't as good as it could be, so a small bunch of engineers thought that there must be a better way to create movie audio. So what they did was take the audio completely off the film and use a separate media, which at the time was CD-Rom, and use a timecode strip on the film to synch the whole thing. TR: What was the first film? AW: Jurassic Park became the first movie with DTS on. There's a great story about the engineers found themselves in Steven Spielberg's office, with him announcing that he was doing a dinosaur movie and saying "I want you to work on the sound". From that moment, the engineers had to turn what was essentially a 'back of the envelope' sketch into a full-blown sound concept for 900 theatres in the US. AW: It was a great start. The technology then evolved to home theatre, and over the years that has involved with an improvement of the codec itself. Up until the middle of last year, the home cinema consumer part of DTS worked in parallel with the cinema business. The decision was made a couple of years ago, however, that we should concentrate our efforts on the consumer part of the business, so we sold off the rights to the cinema arm in 2008. The cinema business is now under the name DTS Digital Cinema. It is a new company with new owners. They kept the old logo, and we rebranded to the logo we have now. TR: Where do you see yourself in the AV industry? AW: We are currently still niche in the home entertainment market, with a very good reputation as a high-performance alternative. As a company, however, we are seeing that change now. 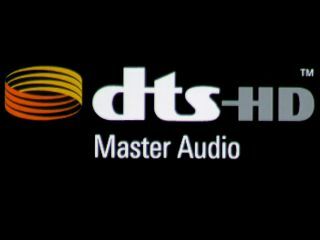 We have a very loyal band of enthusiasts, but a wider audience is now becoming aware of what DTS is and what we do. TR: Do you think Blu-ray has been a part of DTS' recent consumer success? The reason was simple: we were not a mandatory audio format with DVD; we were optional and as a result there was less of an incentive with studios to put a DTS soundtrack on. Thankfully Blu-ray has changed all that. You wouldn't believe how long these contracts take to actually come to signing on the line. It was five, six, seven years' background work to get DTS on the Blu-ray standard. It was a huge amount of work to get it finalised but it we are extremely pleased that we are now mandatory on Blu-ray. TR: So every BD machine has to have DTS capabilities? AW: When we talk about mandatory, it is on the playback side. When you are creating Blu-ray hardware you must have a DTS decoder in your Blu-ray player. As a result there is a lot more incentive for studios to go the DTS route. So it is hugely important and significant for us as a company. We have seen, especially in recent months, a great uptake from studios. We always had Fox and Universal right from the beginning on Blu-ray. Most significantly in recent months Disney has come on board, choosing DTS as the codec of choice.